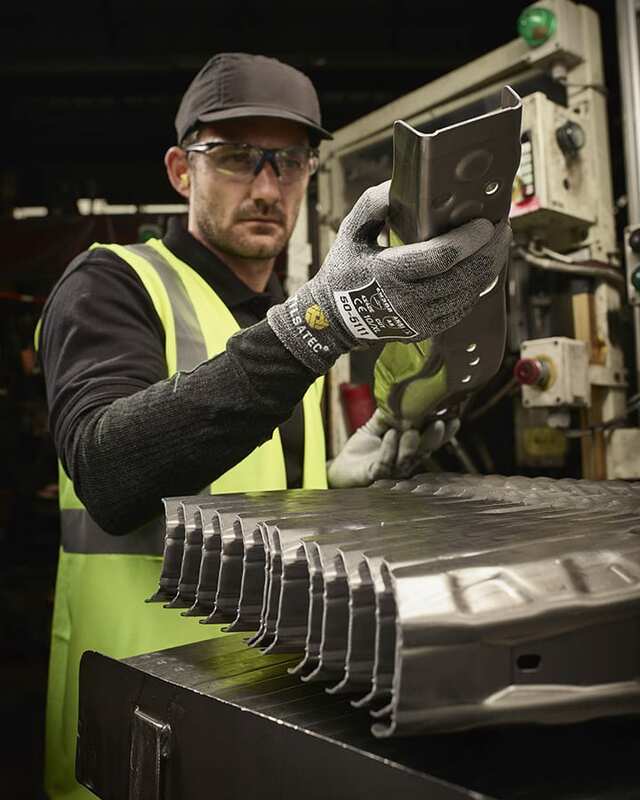 The 50-5111 is part of an innovative new family of hand protection designed to meet the new standards in cut protection in a powerful high value solution. The 10 gauge lightweight liner delivers EN388: 2016 level E cut resistance combined with high levels of abrasion resistance. The thumb area has been reinforced with a nitrile patch to provide additional support and protection in a key high action area, extending the life of the glove. The tough and durable PU coating provides excellent grip and protection making it ideal for assembly, metal fabrication and the automotive industry.